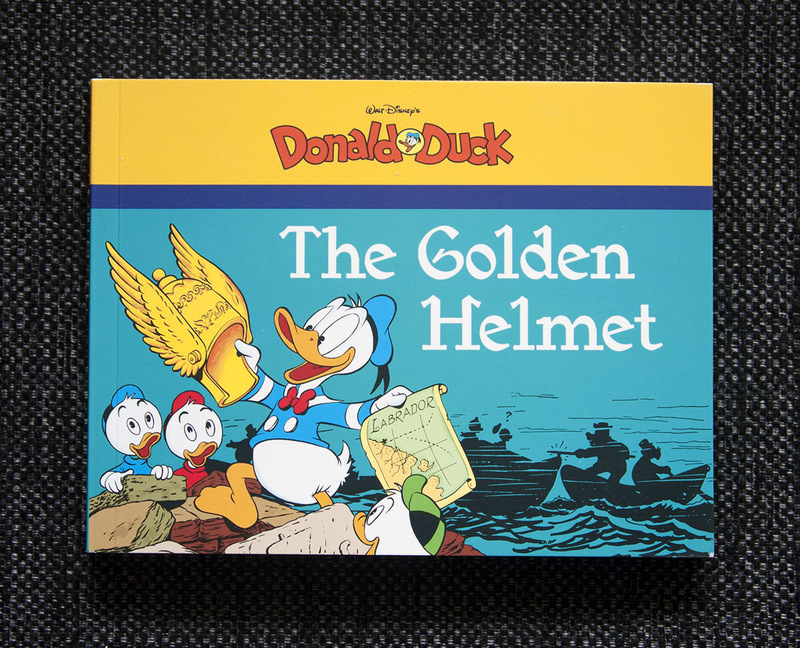 A new book in Fantagraphics’ series of Carl Barks paperbacks is about to be released. Amazon list the publish date to be October 3, 2015, but I already received my copy a few days ago. It’s the third book of this kind they have published. 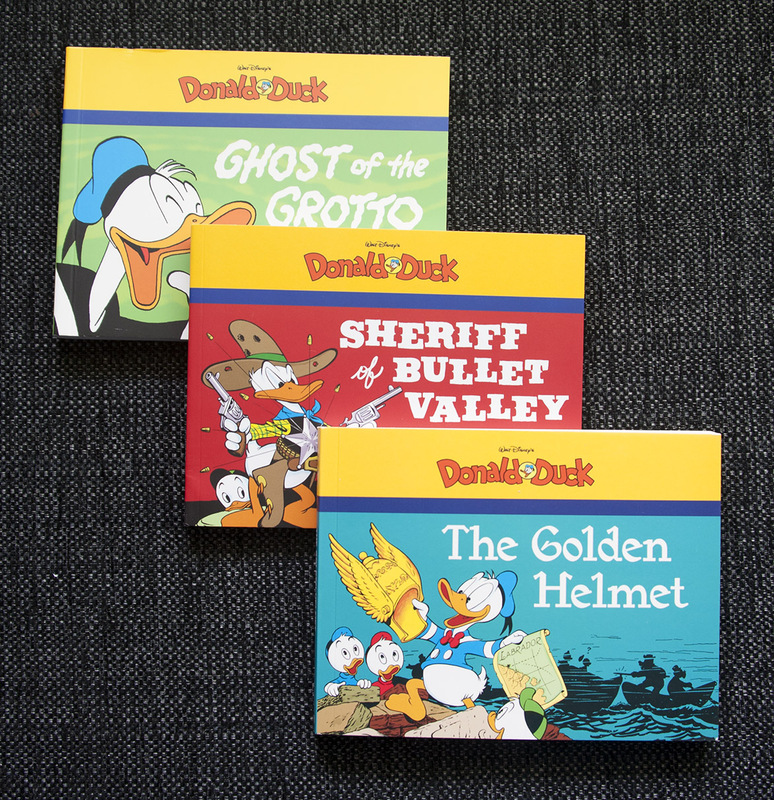 From before we have "Ghost of the Grotto" and "Sheriff of Bullet Valley", all under the Donald Duck logo. These half-sized paperbacks contain stories previously published in The Carl Barks Library by Fantagraphics. So if you are already collecting that series there is nothing new to be found here. Like the names of books in the Carl Barks Library, the paperbacks also have names taken from one of the stories inside. But it looks like they tried to not use the same names on any books in both of the two series. Probably wise to avoid confusion. According to Fantagraphics’ own web pages the paperback series is an "affordable, kid-friendly Disney Duck adventure series". So it sounds like they are more targeted at kids. But I can also see the paperbacks as an easy pickup if you need to kill some time at the airport or need some light reading for your travel. 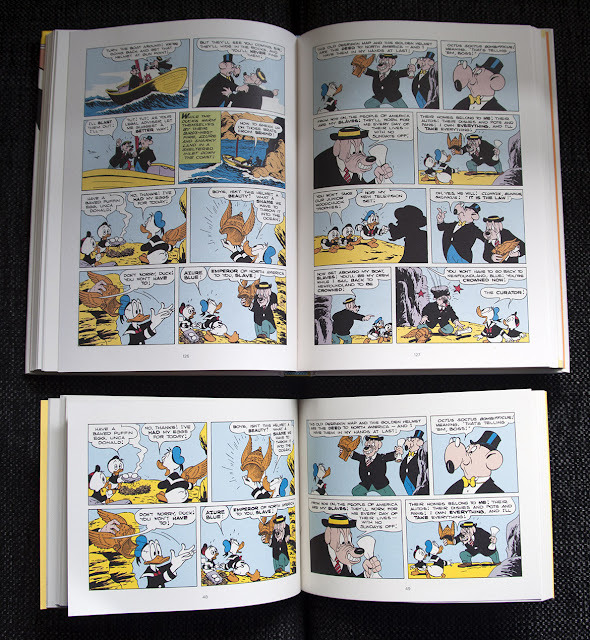 The Carl Barks Library and the paperbacks have the same color restoration, where they are digitally colored to be as close to the colors in the original print as possible. The difference is that in the paperback each page is broken down in two, so there are two tiers per page while originally they were printed with four. But that can be done without having to remount or rearrange the panels, and there’s no editing done to the art. Actually, if you are so lucky to come across original art by Carl Barks, you’d probably see that one page of comics is drawn on two sheets of paper that are taped together. So most (if not all, I’m not sure) can easily be printed as two halves. Inside The Carl Barks Library vol.11 ("A Christmas For Shacktown") and "The Golden Helmet" paperback. The image above is a comparison of the hardcovers and the paperbacks. What I think is a bit strange is what page they started the story on in the paperback. If you go to a random page in the book, you’d see the bottom half of one original page on the left, and the top half of the next page on the right. I think it would be better to be able to see both parts of the original page at the same time. So the story should have started on an even numbered page and not on an odd numbered page. Carl Barks said in interviews that he tried to end every page with a punch line or something exciting to keep up the pace of the story. But it’s not that big of a deal. I tried reading "The Golden Helmet" with this in the mind, and it’s still a great story! The story "The Golden Helmet" takes up the majority of the book with the same name, but we get three of Barks’ 10-pagers (here 20 pages) at the end too.